Why am I not able to apply the Auto Pivot function? Please check if your monitor is in the list of supported models. Currently only the following models are supported: VP2468/VP2768/VP2768-4K/VP2771/VP2775/VP2785-4K/VP3268-4K. Please connect/turn on the monitor’s power before applying the Auto Pivot function. Why is the Auto Pivot function not able to detect my monitor status? The Auto Pivot function used DDC/CI to communicate with the monitor. Please make sure not to turn off the monitor’s DDC/CI setting when you are using the Auto Pivot function. I have already applied the Auto Pivot function on my Windows OS. Why is my monitor Windows/Image not automatically rotating to fit the direction of the monitor? Please update your monitor’s firmware to the latest version for the best performance from the Auto Pivot function. 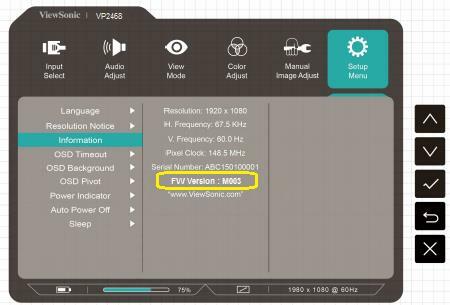 If your VP2468 monitor’s firmware version is M001 or M002, please make sure your OSD Pivot setting is set to Auto. Please make sure your Auto Pivot function is set to Auto. 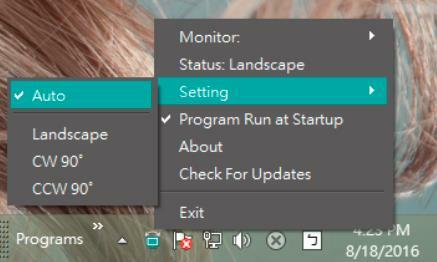 When applying the Auto Pivot function, Monitor OSD Pivot options are greyed out. How can I access the monitor’s OSD Pivot options to fix the OSD Pivot direction of the monitor? 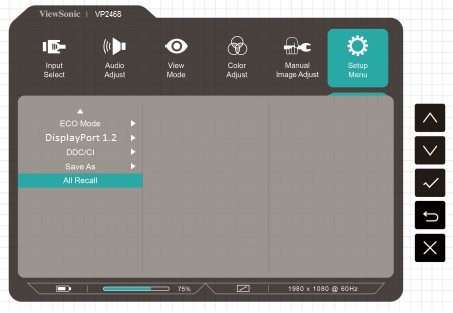 You can unselect the Auto Pivot function or apply All Recall from the monitor’s OSD Setup Menu. Why can’t my screen/window rotate to match the monitor’s orientation? The Monitor OSD pivot function is only effective for the OSD window itself. You need to install the “Auto Pivot” application so that your OS can automatically rotate with the monitor’s orientation. Does the Auto Pivot application support Mac OS? The “Auto Pivot” application for Microsoft Windows version is available now. Mac OS version will launch later. The Microsoft Windows version of the “Auto Pivot” application is the only version available now. The Mac OS version is under production and will launch shortly. How do you disable the Auto Pivot function? 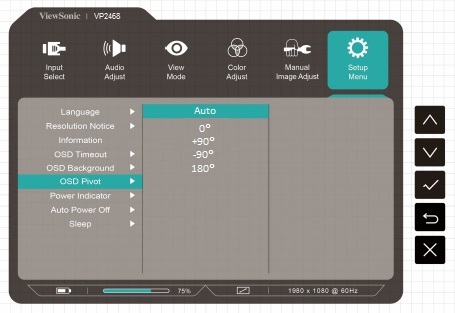 From the Operation System screen/window, you can set the Orientation setting to Landscape/CW90°/CCW90° or disable the “Auto Pivot” application. Does the “Auto Pivot” application support my previous Viewsonic display? It only supports specific models, like the VP2468/VP2768/VP2768-4K/VP2771/VP2775/VP2785-4K/VP3268-4K. Why can’t my monitor auto detect a signal between different input sources? The input signal auto detect function is only available for specific models. Please check the User Guide to see whether your monitor supports this function. The Input signal auto detect function is disabled by default, because there could be compatibility issues between devices. How do you enable the input signal auto detect function? You can enable the input signal auto detect function by following these steps “Menu >> Input Select >> Auto Detect On”. Why doesn’t Colorbration application support my X-Rite ColorMunki device? Current Colorbration application supports ViewSonic CS-XRi1, X-Rite i1Display Pro, and X-Rite i1 Pro2. 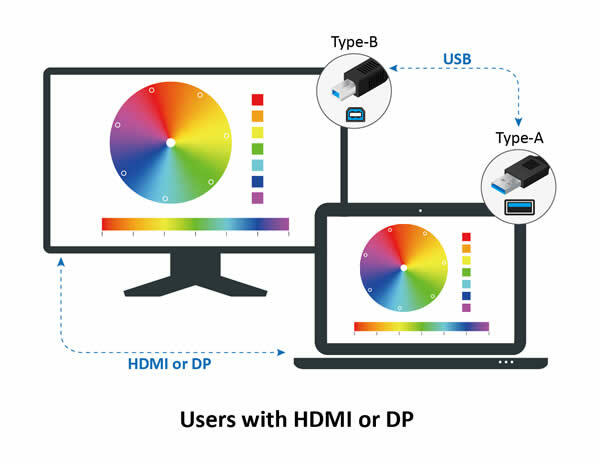 For users with HDMI or Displayport connection, please also connect monitor’s USB Type-B connector to PC’s USB Type-A port. Connect HDMI/DP and USB Type-A to the monitor via a USB Type-C adapter. 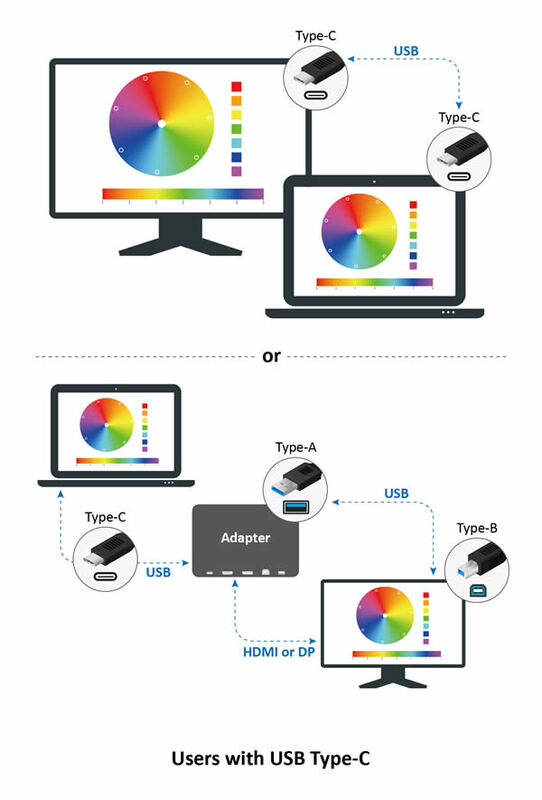 Colorbration application could conflict with other applications, suggest to quit auto pivot and other existing applications prior to starting color calibration for monitor. Please make sure your DisplayPort input is connected to the monitor DisplayPort port or mini DisplayPort port, and not to the DisplayPort output port. If you are using DisplayPort 1.1, please follow these steps “Menu >> Setup Menu >> DisplayPort 1.2 Off”. The VP2468 supports up to four FHD Daisychain connections. How do I set up MST daisy chaining over DisplayPort? This is a normal occurrence for In-Plane Switching (IPS) monitor panels.The longer an image is left static on the screen, the more noticeable image retention will be. In order to prevent image retention, enable the screen saver function on your monitor so that images are not static on your screen for extended periods of time. How do I check my monitor’s current firmware version? Go to OSD >> Setup Menu >> Information, where you will see your current FW Version. For VP2468 versions M001 and M002, this function is not supported. If you cannot find the FW Version in the Information page, please update to M003 or the latest version. 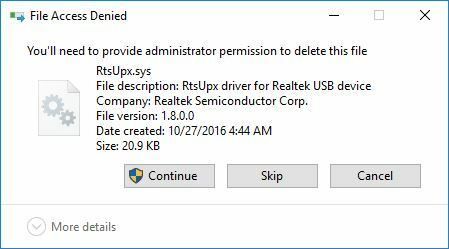 How do I update my monitor’s firmware? 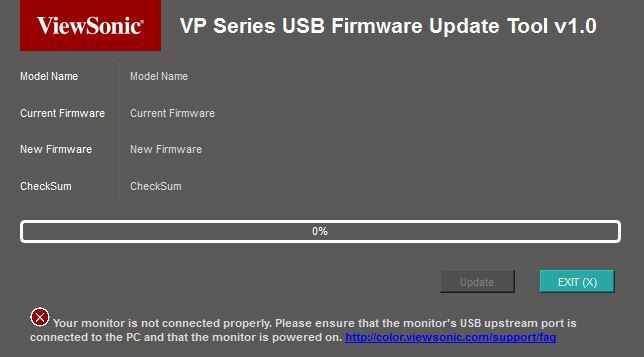 You can visit http://color.viewsonic.com/support/firmware to check and download the latest firmware version with the update tool. 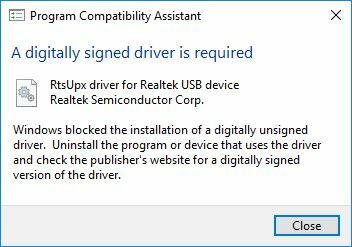 Before using the update tool, please make sure that your monitor’s USB cable is connected to the USB upstream connector on the monitor and to a USB port on your PC/Laptop. I already have monitor power is ON and USB cable is connected to PC properly, but why “FW_Update_Tool_with_VP2468_M003” is still can’t detect my monitor? A Windows error message might also pops up few seconds later. Please close both program and error message, and follow the steps below to fix the problem. Steps 1: Open File Explorer, navigate to Windows folder and click on the folder. 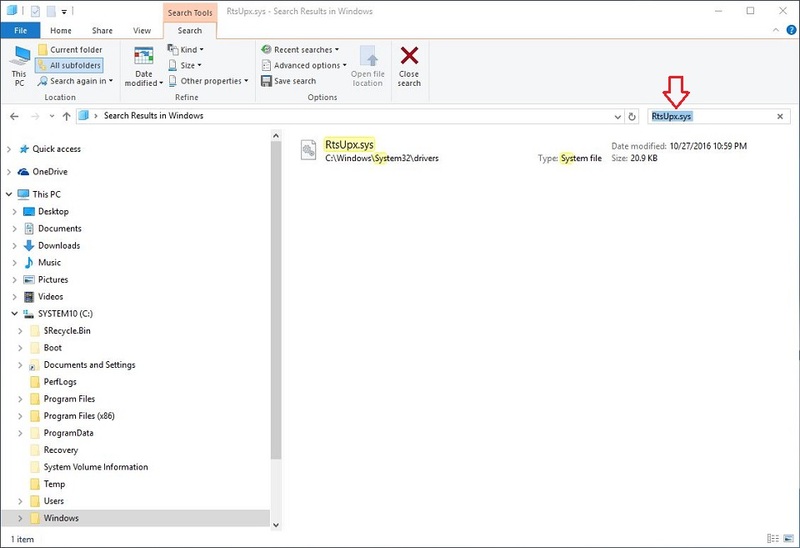 Steps 2: Locate the Search bar at the top right corner of the File Explorer pane. Steps 3: Start typing the file named "rtsupx.sys"
Steps 4: Search will start displaying matching items. Steps5: Please delete the file that found, and click “Continue” button when the system prompts for administrator permission to delete this file. Steps 6: Download “FW_Update_Tool_with_VP2468_M004” or latest version. Run the setup program and follow on screen instruction to install the latest software. 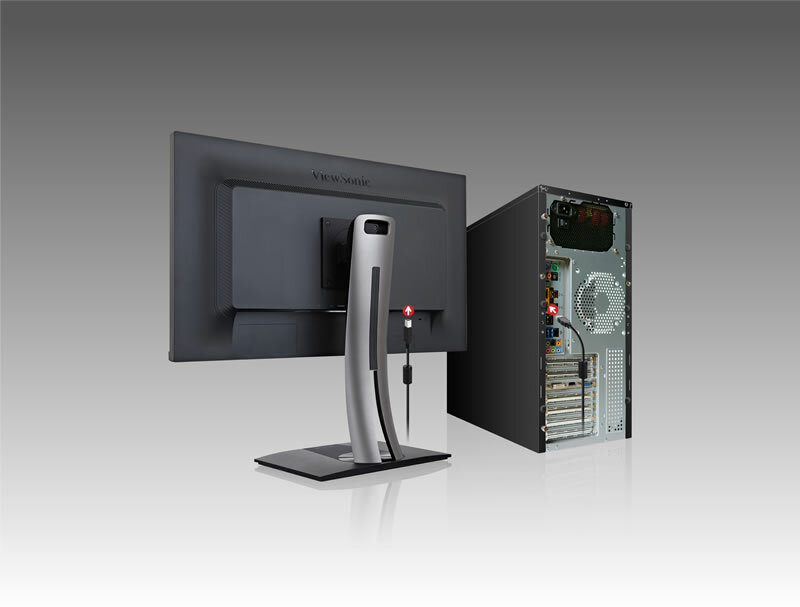 Now you can detect the monitor correctly and start updating the new firmware for ViewSonic VP2468 monitor. To enable 4K at 60Hz over USB, go into the OSD Setup Menu → Select ‘USB 3.1’ → Select ‘Turn Off’.